What’s the difference between oil based paint, latex-based paint, and water-based paint? Oil-based paints tend to be the popular choice for interior painters, because the liquid is durable. Once dried, it takes a lot of punishment from anything that touches it, such as smoke, air and even water. Oil paint is strong, and is therefore the go-to choice of paint for most painting contractors. Sounds like oil-based paints are the perfect paint, right? Not so fast. Oil-based paints require homeowners to play the waiting game, as the liquid takes longer to dry than water and latex paint – you could be waiting as long as two days for your oil-based paint to dry. Oil-based paints tend to leave strongest scent behind than the other two paint types, and is far from healthy to breath in. VOCs (Volatile Organic Compounds) are released into the air while the oil-based paint is drying. Also, unlike its counterparts, oil-based paint is highly flammable, making the painting process a potential hazardous job. Water-based paints dry quick, because the liquid evaporates as it dries. Unlike the chemical-contained oil-based paints, water-based paints are primarily just that – mostly made of water. While not as strong as oil-based paints, water-based paints are more environmentally safe. Acrylic (aka latex) paints dry quicker than oil. There are some VOCs in latex-based paints, but not nearly as much as those found in oil paints. The scent latex-based paints leave behind is minimal. Latex and water-based paints should always be the preferred choice between the three options. While no paint is ever completely harmless, the choice you make depends on the area to be painted, and who resides within it. 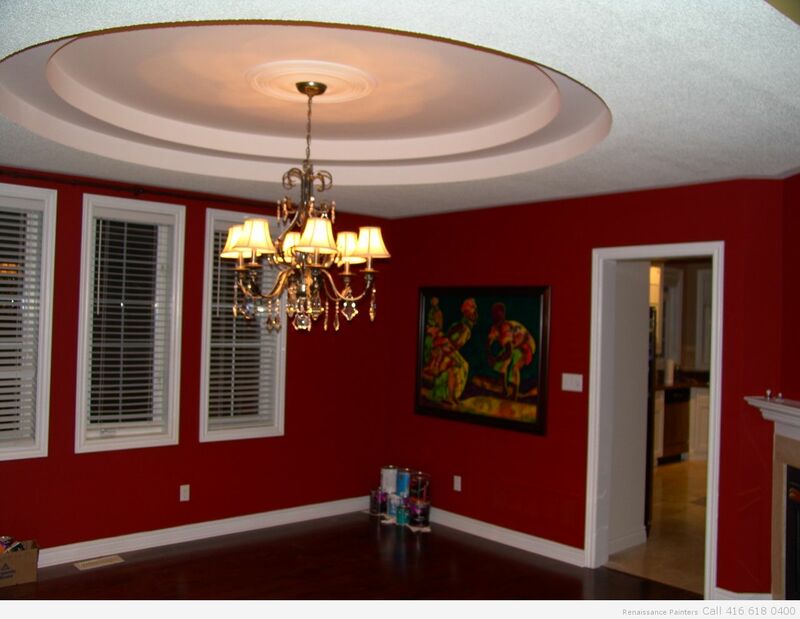 For more questions about paint types, email Toronto’s Renaissance Painters through our webmail form on www.renaissancepainters.ca, or call (416) 618-0400 for more information.